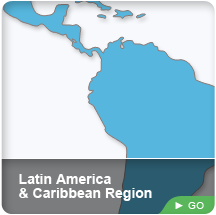 The International Society of Primerus Law Firms offers the highest quality Honduras Law Firms. Speak directly with a trusted Honduras law firm. Also, with local Honduras Counsel and independent law firms servicing Honduras, all fifty states and over 40 countries around the world, Primerus is sure to have the attorney you are looking for. Primerus Honduras lawyers are ready to assist you. The Highest Quality Legal Services in Honduras at Affordable Fees. When we formed Primerus in 1992, we set out to restore honor and dignity to the legal profession and to help rebuild the public's trust in lawyers and the judicial system. In doing so, the Primerus name has become synonymous with high quality legal services for reasonable fees. It has been our mission from the beginning to seek out, accept and retain only the best firms for membership. Each Honduras law firm is screened to ensure its commitment to excellence as embodied in the Six Pillars including integrity, excellent work product and reasonable fees. After over 20 years, in which Primerus has experienced tremendous growth in membership and expansion of services, we have never wavered from this commitment, and we never will. That means you can choose a Primerus Honduras attorney with confidence. With nearly 3,000 Honduras lawyers, Primerus is the size of some of America's largest law firms. Our Honduras lawyers have depth of knowledge and expertise in hundreds of specialties and subspecialties. But Primerus Honduras law firms are completely independent and autonomous. And they tend to be small or medium-size law firms with less than 50 lawyers. The result is more personalized attention, excellent communications and enduring relationships. Finding these excellent law firms located in Honduras and all across the world used to be difficult. Not anymore. Now you have Primerus working for you. The Primerus Seal has become "the lawyer's equivalent of the Hippocratic Oath." If you're looking for a Honduras lawyer, you are probably looking for experience. Primerus screens each Honduras law firm and its members carefully to ensure that our rigorous standards are met and upheld. The process begins with a series of questions. Does the Honduras attorney candidate file motions and briefs on time? Is the Honduras attorney prepared to present a case? Is the Honduras attorney candidate respectful to the court at all times? Primerus poses the same questions it asks the judges to other Honduras lawyers who know and have worked with our candidate. These BAR associations are the licensing body for Honduras lawyers. We check with them to make sure that all of the Honduras lawyers and the members of the Honduras law firm are in good standing with the state and national bar associations and that none have a history of ethical violations or grievances filed against them.